On October 4, 1957, Newton’s hypothesis was proven correct. The Sputnik, a 183-pound shiny sphere, lifted off from the steppes of Kazahkstan, part of the former USRR. The “Space Age” had officially begun… The satellite’s prime payload was a radio transmitter sending out a harmless “beep-beep-beep” signal merely to declare its existence. Nevertheless, the Sputnik struck fear into the hearts of Cold War Americans, who realized that the Soviets could just as well have lofted a nuclear-tipped missile to the US. 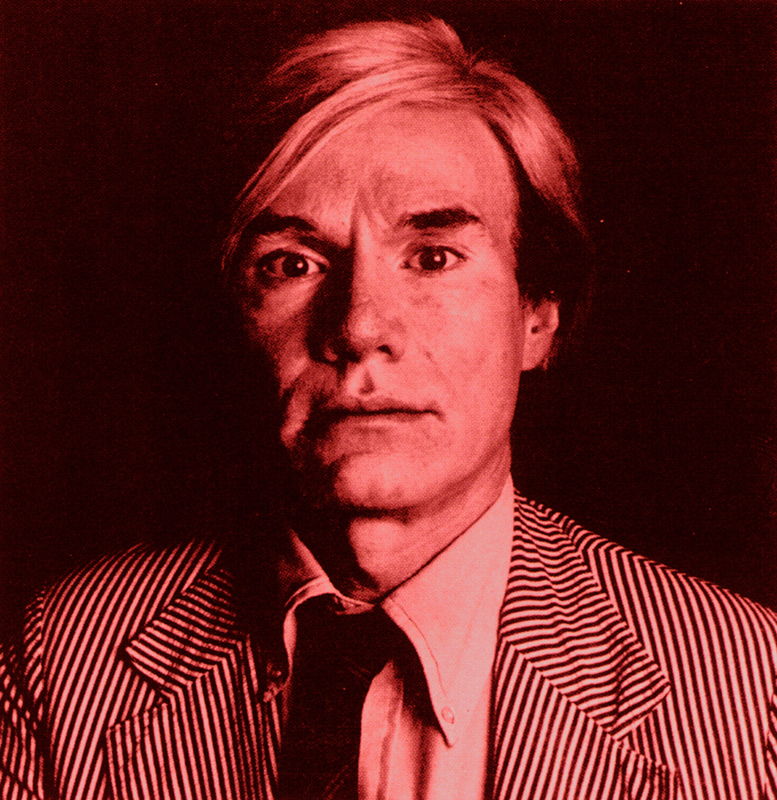 Four years later, left the Soviets the USA behind in even more prestigious race. Yuri Gagarin became the first man, who orbited planet Earth in a manned spacecraft and returned home safely (the probability of a successful launch was estimated at only 50 percent, and no one even hoped that the cosmonaut would ever return). One of the ironies of the Soviet space successes was that America’s paranoia about its technological gap led to a “first renaissance” in science education and huge investments (in the sixties, 5% of the federal budget went to space technology). The Americans played catch-up, but initial efforts failed to make it anywhere near space and were nicknamed ‘Kaputnik” and ‘Stayputnik’ by the American press. But billions of dollars later, in 1969, the Americans emerged as victors when Neil Armstrong and Apollo 11 touched down on the moon. In the Fifties, Russia seemed invincible in space. But finally the US won the Space Race with seven missions to the moon, while the Soviet moon program faltered. In the years to come, the American space program would also suffer painful setbacks. On Jan. 28, 1986 , the space shuttle Challenger was destroyed 73 seconds after liftoff when rocket booster seal failed, leading to a subsequent fireball and the deaths of all seven astronauts aboard (including Christa McAuliffe, the first school teacher to launch spaceward). Seventeen years later, another seven astronauts died when the Columbia orbiter, NASA’s oldest shuttle, broke apart during reentry on Feb. 1, 2003 after a successful 16-day science mission. Each fatal accident grounded NASA spacecraft as the agency rooted out their causes and dealt out new safety plans before again launching astronauts into space. 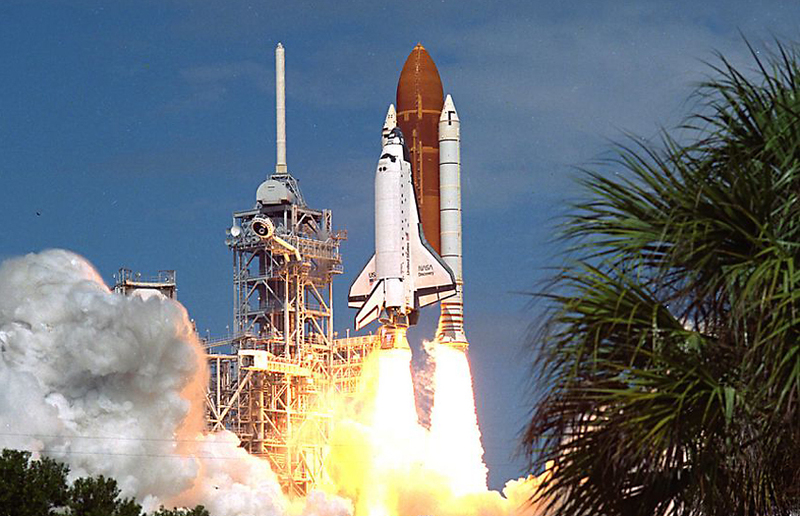 It took more than two years following both the Challenger and Columbia accident before NASA launched another shuttle. The disaster occurring with the Challenger and Columbia were vivid reminders of the risks inherent to human spaceflight. 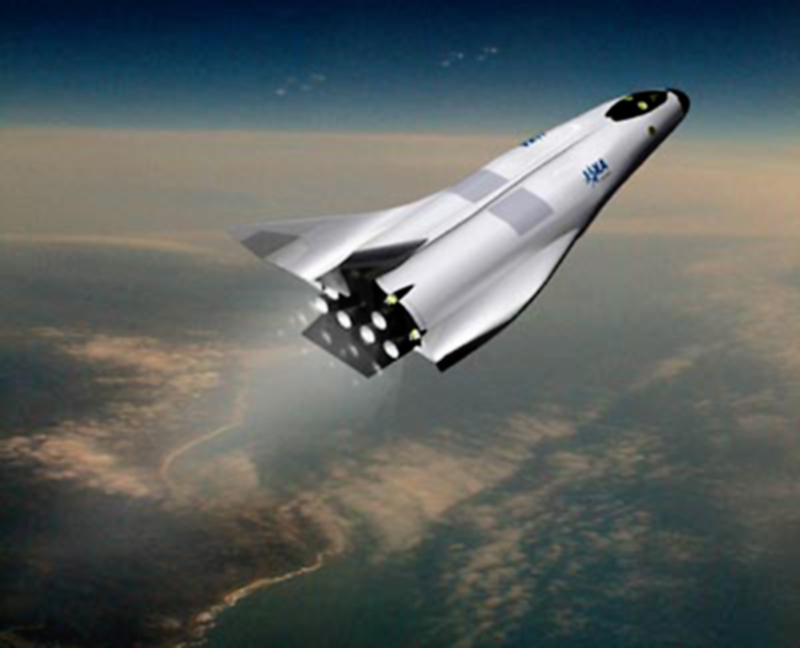 Today, the Americans and Russians have come to complement each other: NASA has been focusing on reusable transports (a fleet of space shuttles), while Russia has concentrated on studies of long-duration flight and a series of space stations. Space programs have become so expensive, that no nation is able to conduct a space program in isolation. The former rivals are bound in space now. To make future projects happen, they have teamed up with Japan’s National Space Development Agency and the European Space Agency. Together they fill the sky with billions of dollars worth of telecommunications satellites, while a new generation of low-orbit satellite networks promises to extend and improve global communication even more. As the N°1 brand in the world, Coca-Cola always needs to stay a step ahead on the competition. To do so, no investment is spared. At the Coca-Cola Company, the motto seems to be “Dream big & make good ideas happen.” The sky is the limit – sometimes even literally. In the late 19th century already, Coca-Cola owner Asa G. Candler put all his energy and money to break open a larger market. 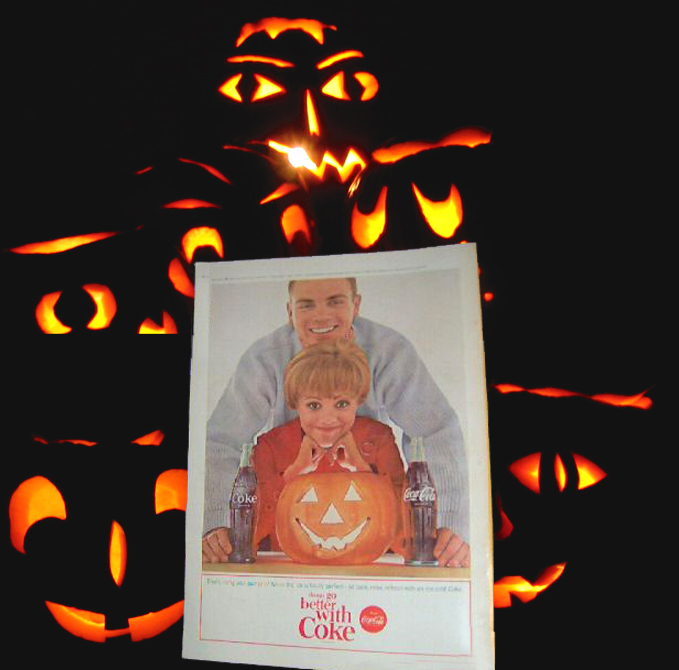 Candler spent huge advertising budgets on point-of-sales signs, newspapers ads, calendars, coupons & novelties, all of them prominently displaying the Coca-Cola logo. By the end of 1895, Candler could proudly proclaim that “Coca-Cola is now sold and drunk in every state of the United States”. Robert W. Woodruff, Coke’s president from 1923 until 1954, wanted Coke to be “within arm’s reach of desire, around the world”, so he established an export department in 1926 and developed the first international bottling network. When World War II broke out, Woodruff convinced his board of directors to make sure that no soldier had to go to war without America’s favorite drink – regardless the cost to the company. The Coke managers and technical crews had to overcome the most incredible difficulties of production and transport, but they managed to meet Woodruff’s target. At the cost of 5 Dollar cents a bottle, American GI’s could have their “Pause that refreshes” everywhere they had to go, even in the most inaccessible places or where the battle was fiercest. By the time the war was over, Coke had sold over 5 billion bottles. 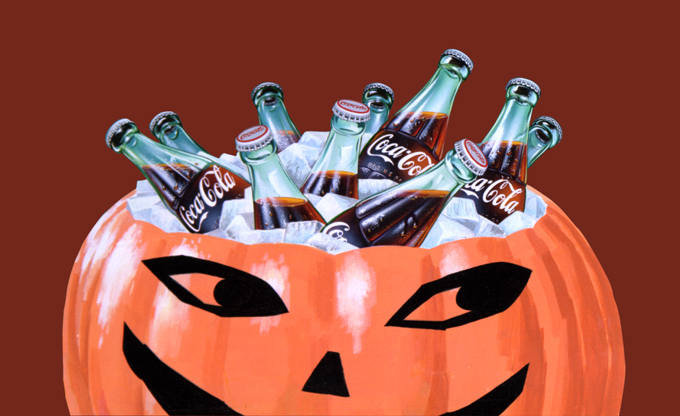 Before WWII, Coca-Cola was bottled in 44 countries; by the sixties this figure had more than doubled. 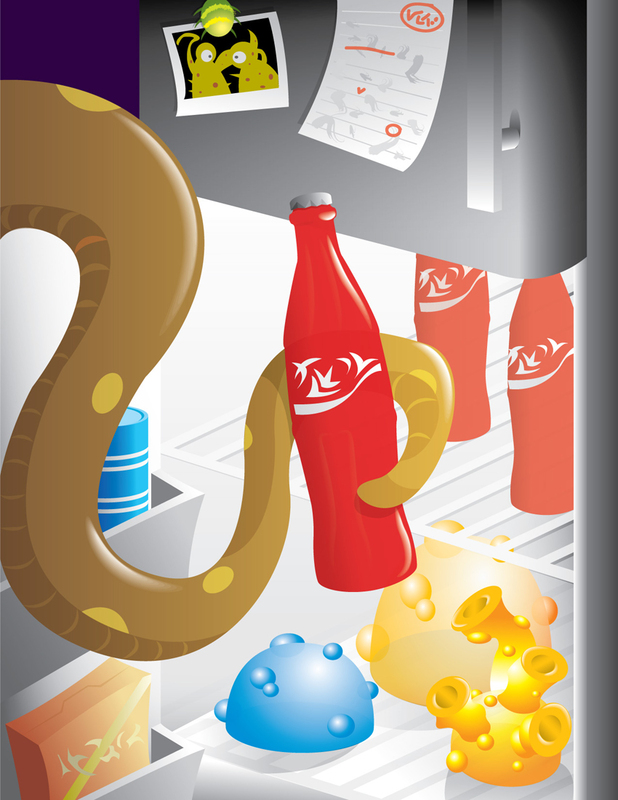 Coca-Cola’s bottling system was expanded to the largest and most widespread production and distribution network in the world. 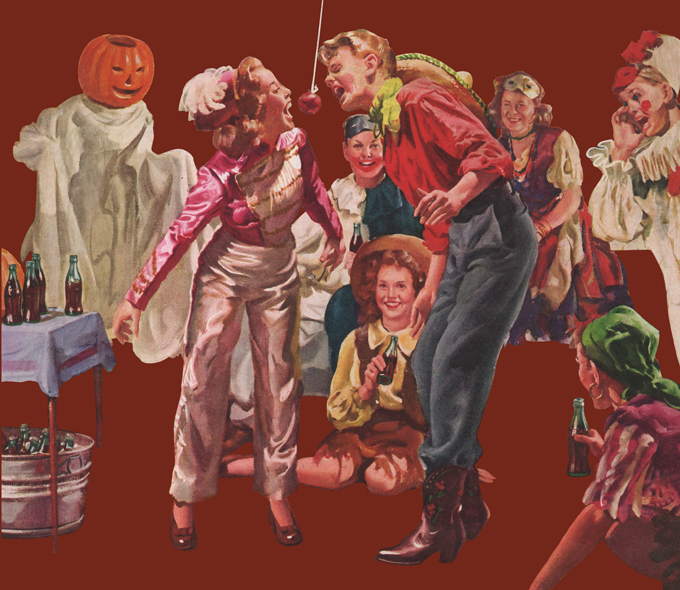 Coca-Cola grew into a global symbol of the American way of life. 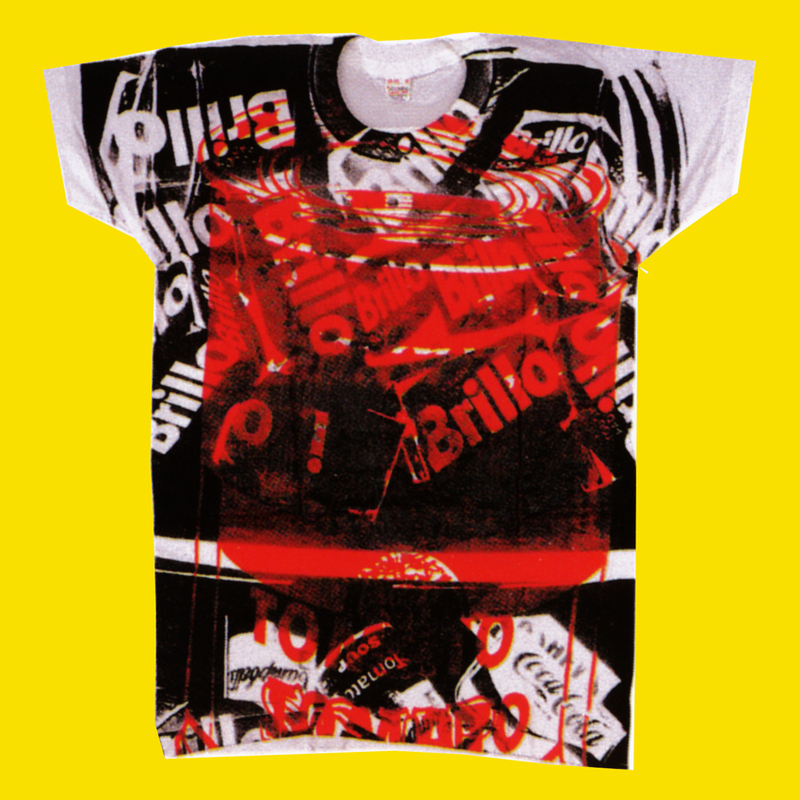 Now that Coca-Cola was a global success story, it would take something fairly outlandish to raise eyebrows. 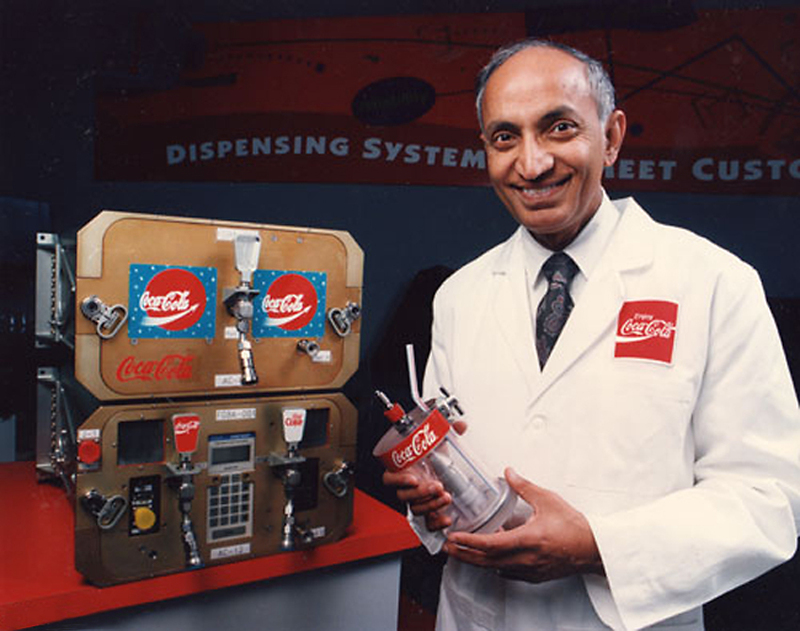 In the eighties, CEO Roberto Goizueta had a new challenge for Coke, to boldly go where no soda has gone before… Coke’s packaging experts teamed up with NASA engineers to develop the CBDE (Carbonated Beverage Dispenser Evaluation). 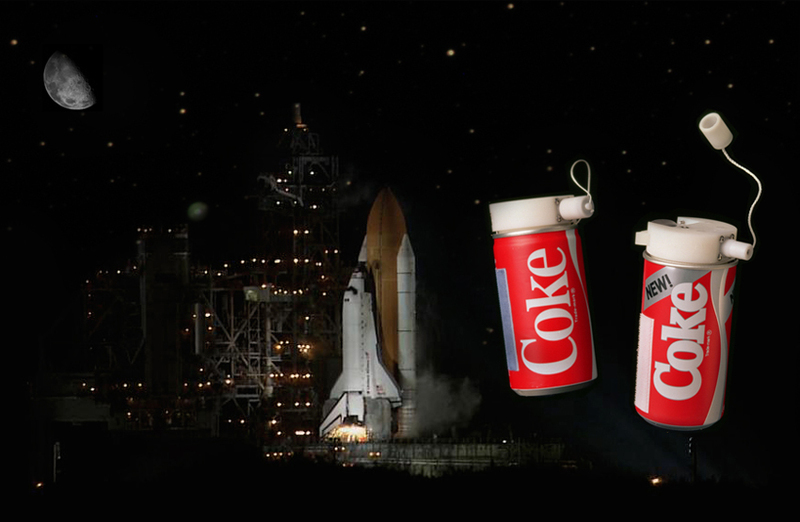 In 1985, astronauts tested the “Coca-Cola Space Can” aboard the Space Shuttle Challenger. The experiment was not really a success, due to the lack of refrigeration and the zero gravity conditions, but on the lighter side of space, floating “soda balls” did provide a source of entertainment for the astronauts. Do you wonder how far New Coke did go? The STS-51F Challenger with New Coke on board traveled for 7 days, 22 hours & 45 minutes; covered a distance of 3,283,543 miles and completed 127 orbits. Six years later, in 1991, Coca-Cola and Soviet space agency NPO Energia successfully tested an improved version of the Coca-Cola Space Can on board the Soviet space station Mir. The 3rd trip was in 1995, this time with the Coca-Cola Space Dispenser on board (Aka the FGBA or “Fluids Generic Bioprocessing Apparatus”). 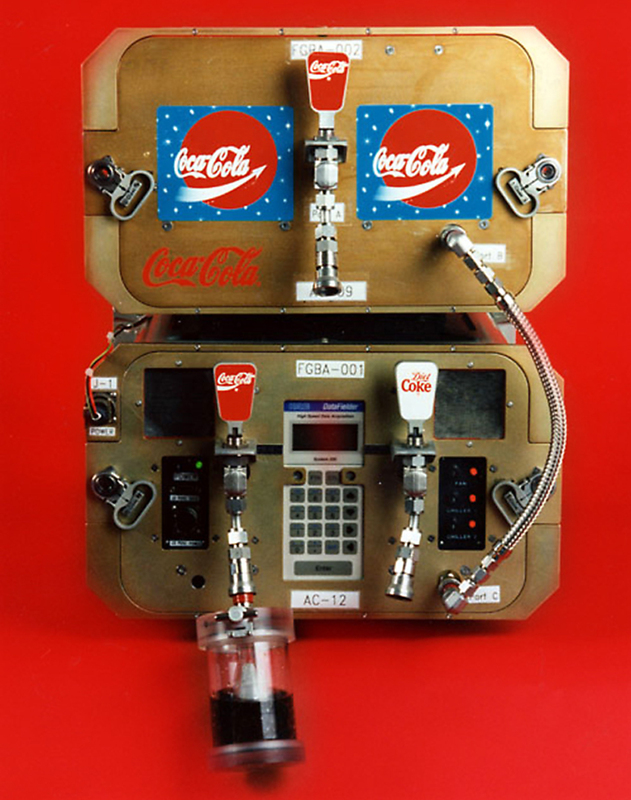 The dispenser was designed to contain 1.65 liters each of Coca-Cola and Diet Coke and provide astronauts the opportunity to enjoy a refreshment break. They had to dispense their drink into a “Fluids Transfer Unit” (a sealed drinking cup) through a quick connect on the dispenser. To save power, the dispenser would chill the liquid when it was about to be consumed. As the drink passed from the storage container to the drinking can, it would flow past cooling coils that would chill it, one drink at a time. The design incorporated a unique baffle and thin vanes at its bottom to keep the liquid and carbon dioxide (CO2) from separating. In 1996, another innovative fountain dispenser (serving Coca-Cola, diet Coke and hydration drink Powerade) was launched aboard the Space Shuttle Endeavour. Over the years, Coca-Cola made a serious investment into their space research. 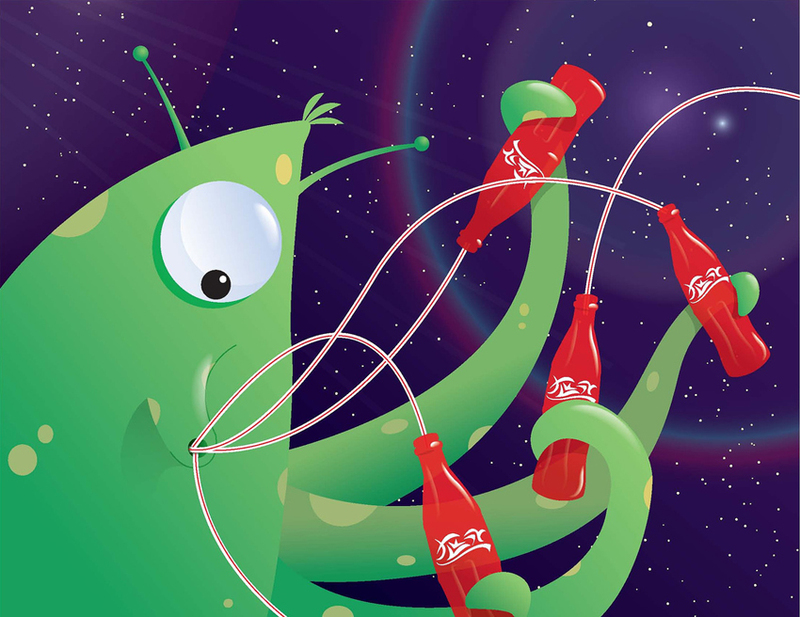 In addition to a desire to offer a refreshment for astronauts, Coca-Cola was also observing the effects of space flight on changes in taste perception. Now that JAXA (Japan Aerospace Exploration Agency) announced its goal to build an inhabitable base on the moon by 2030, the lunar base construction workers and astronauts can be sure that their Coke will be cold & tasty, just like at home. 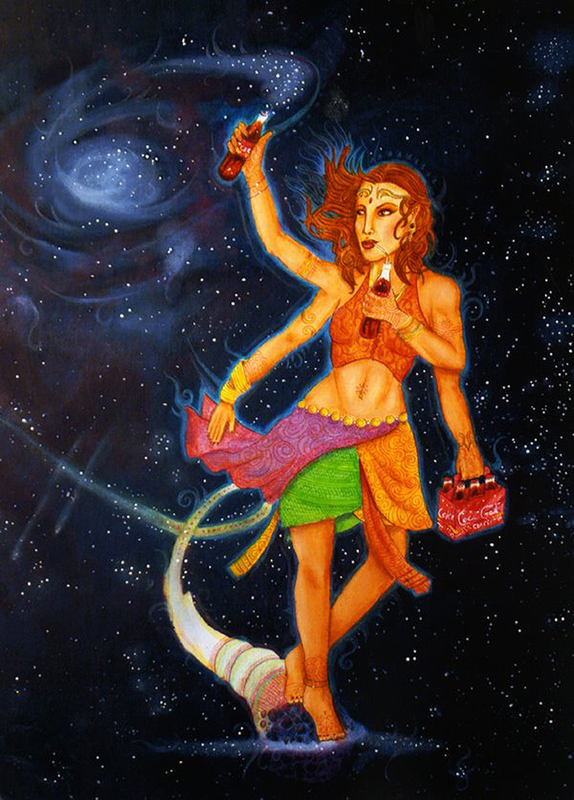 And if we ever find extraterrestrial life, we would not be surprised to see that the magic of Coca-Cola’s universal charisma also works in outer space. 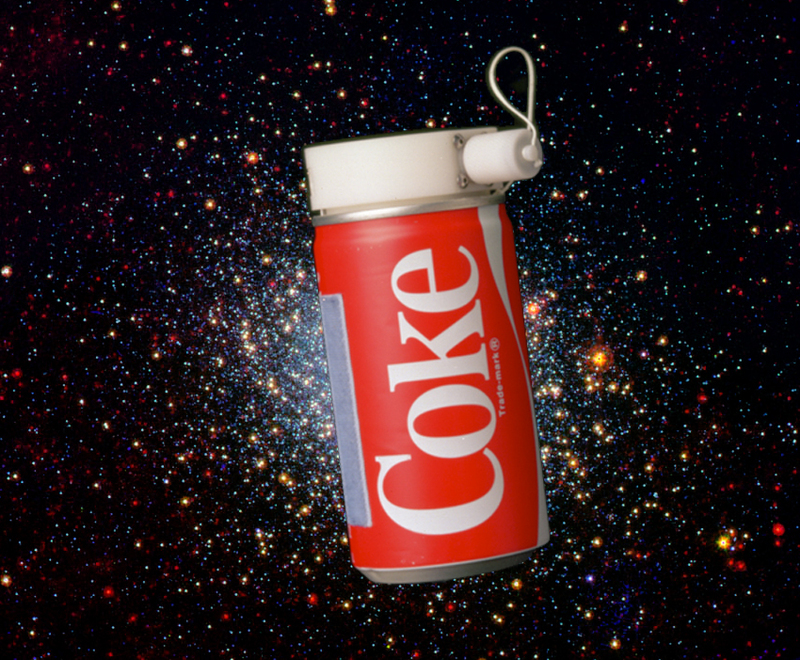 Coke is Out of This World! 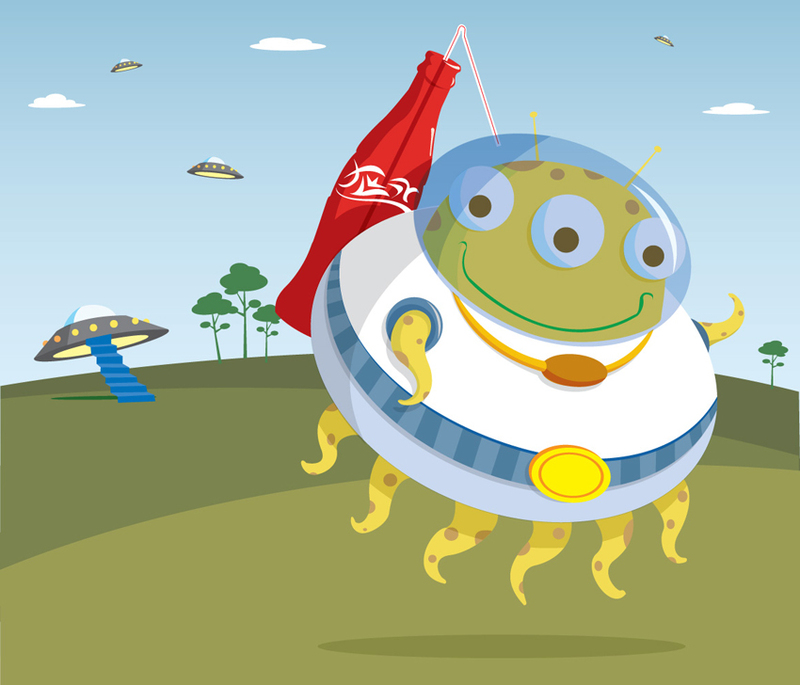 Ad campaign: Coke is out of this world! Tex Grubbs is a squirrel tamer turned Illustrator (story goes that he lost 6 of his 10 fingers to the exciting and dangerous world of squirrel taming; now he draws and paints with his mouth and feet). He was born & raised in Dallas, Texas (yes, Tex is his real name). Tex’s passion for drawing began as a child within the pages of “Calvin & Hobbes”, “The Farside” and all things Shel Silverstein (he still reads them when he can). Tex learned stuff at the university of Texas and, most recently, at the Portfolio Center in Atlanta, Georgia. 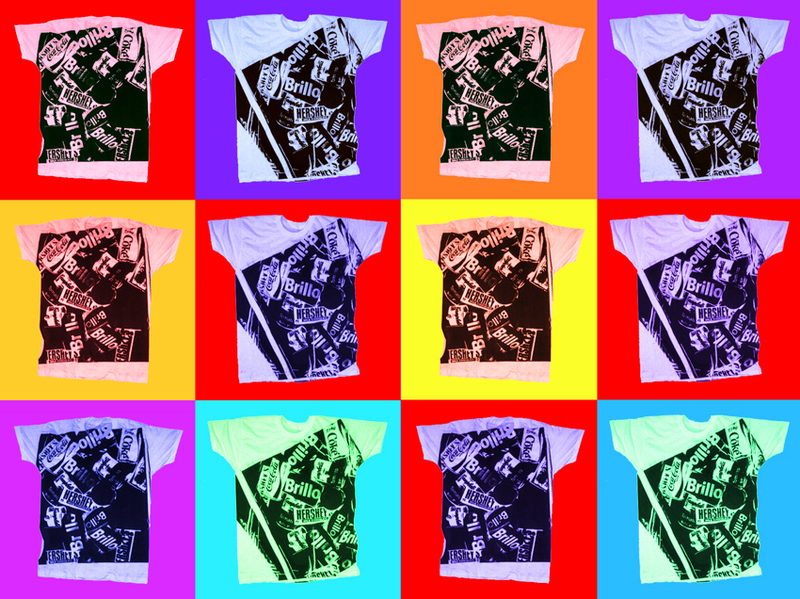 Now he spends his days drawing & painting his own pictures from his Atlanta-based studio. 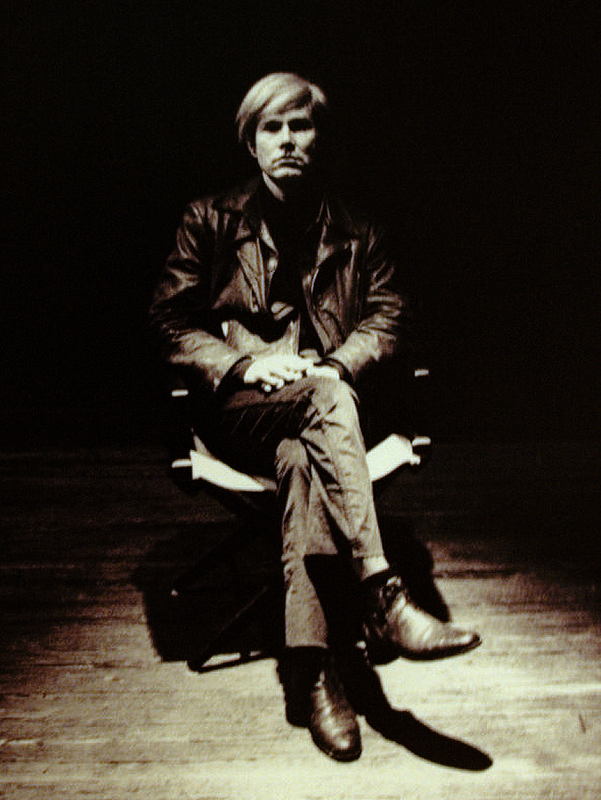 To see his more of his work, take a little trip to his website or check out the “illustration” section of his blog.